There is significant concern that technological advances, especially in robotics and artificial intelligence (AI), could lead to high levels of unemployment in the coming decades. Studies have estimated that around half of all current jobs are at risk of automation. To look into this issue in more depth, we surveyed experts in robotics and AI about the risk, and compared their views with those of non-experts. Whilst the experts predicted a significant number of occupations were at risk of automation in the next two decades, they were more cautious than people outside the field in predicting occupations at risk. 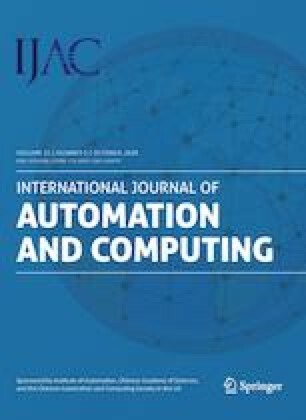 Their predictions were consistent with their estimates for when computers might be expected to reach human level performance across a wide range of skills. These estimates were typically decades later than those of the non-experts. Technological barriers may therefore provide society with more time to prepare for an automated future than the public fear. In addition, public expectations may need to be dampened about the speed of progress to be expected in robotics and AI. Toby Walsh received the B.A. degree in mathematics and theoretical physics from University of Cambridge, England in 1986, and the M. Sc. and Ph. D. degrees from Department of Artificial Intelligence, University of Edinburgh, Scotland in 1987 and 1990 respectively. He was subsequently a researcher in Scotland, France, Italy, England and Ireland. Currently, he is Scientia Professor of artificial intelligence at School of Computer Science and Engineering, University of New South Wales, Australia, as well as group leader at Data61, and guest professor at the Technical University of Berlin, Germany. His research interests include automated reasoning, constraint programming, propositional satisfisfiability, preference reasoning, social choice, game theory and computational economics. Most recently, he has become interested in the societal impacts of artificial intelligence. He has been elected a Fellow of the Australian Academy of Science, and of the Association for the Advancement of Artificial Intelligence. He has won the Humboldt Research Award and the NSW Premier′s Prize for Excellence in Engineering and ICT. This work was support by the Australian Research Council, the European Research Council, and the Asian Office of Aerospace Research & Development.